What Makes Certified Homecare Consulting Different From Other Hospice Consultants? We developed our own successful hospice, a non-medical home care agency, home health care agencies, transportation, GAFC and DME just to name a few. Our home health care agencies are CHAP Accredited and our Non-Medical Home Care Agency is Private Duty Accredited. There is no substitute for experience! Choose a home health care consultant that has actually started and successfully operates a hospice. There are other consultants who can get you started, but only one who will get you started the right way. Choose carefully. Most home health care consultants do not have real world experience outside of their clinical staff, and this includes the home health care consultants you see advertised on Google. If they have never started and operated a successful hospice agency, they do not understand what it takes. Our team at CHC has started and built our own successful agencies. Let us help you start your hospice agency the right way. Compete With Franchise Companies, Without The Franchise Fees. No Franchise = No Franchise Fees! Setup of Incorporation or LLC, Tax ID and NPI number for your hospice agency. Human Resources/HR Setup And Hiring Materials including but not limited to one on one training, video training, and customized high quality documents developing all aspects of your human resource department. This includes up-to-date, professionally bound, spiral HR packets as well as other forms and documents. Customized Operational Forms And Documents required to successfully operate a hospice agency. Complete State specific hospice policies and procedures, customized by our home health consultants, then professionally designed, proof read and printed by one of the nations leading design firms. **Note: Other home health consultants print their policies on a standard office printer and do not spend the extra time or money to have their hospice policies professionally edited by a third party. We are the only home care consultants who will provide your hospice policies and procedures to you in Word format so you can make changes to your hospice policies when necessary. Phone reviews to prepare for via phone to prepare for and assure compliance in your state. After the state hospice business license survey, a Plan of Correction may be required as a condition to receive your hospice business license. A Plan of Correction is just the first step to successful licensure. We take the necessary time to help educate you on industry best practices. We complete your Medicare Application and enroll your hospice agency with CHAP. We then provide training and conduct a mock accreditation audit with your staff live at your office. Our hospice consultants will cite you for deficiencies the same way the CHAP Accrediting Body would before conducting a 2nd mock audit to review your progress. We take you though the process of Medicare Accreditation with a hands-on approach. 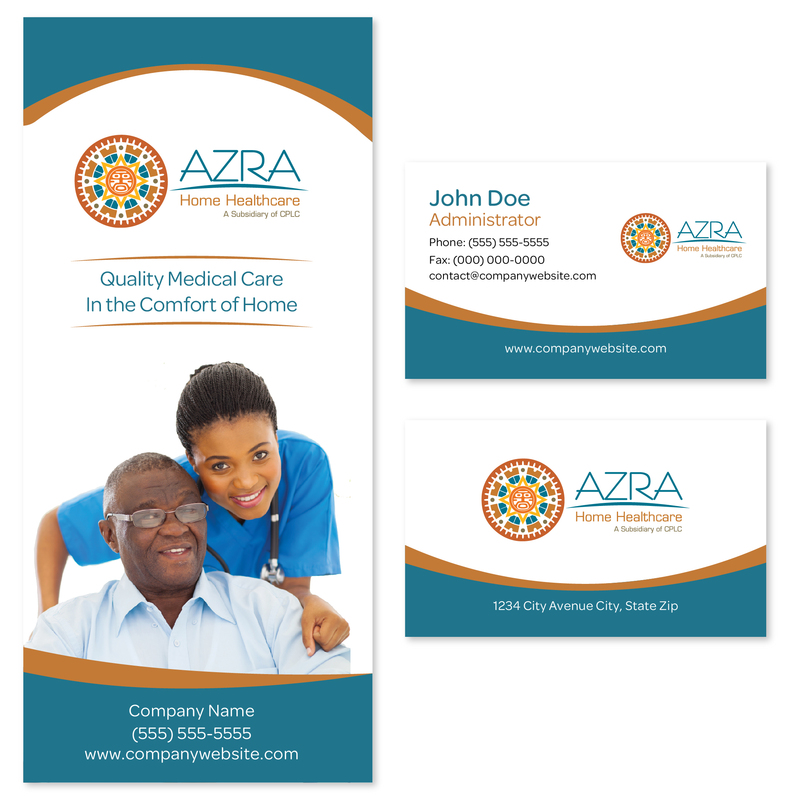 Your logo will be provided by one of the nations highest quality healthcare design firms. These logos are customized just for you by a healthcare design firm with a team of marketing experts and graphic designers. 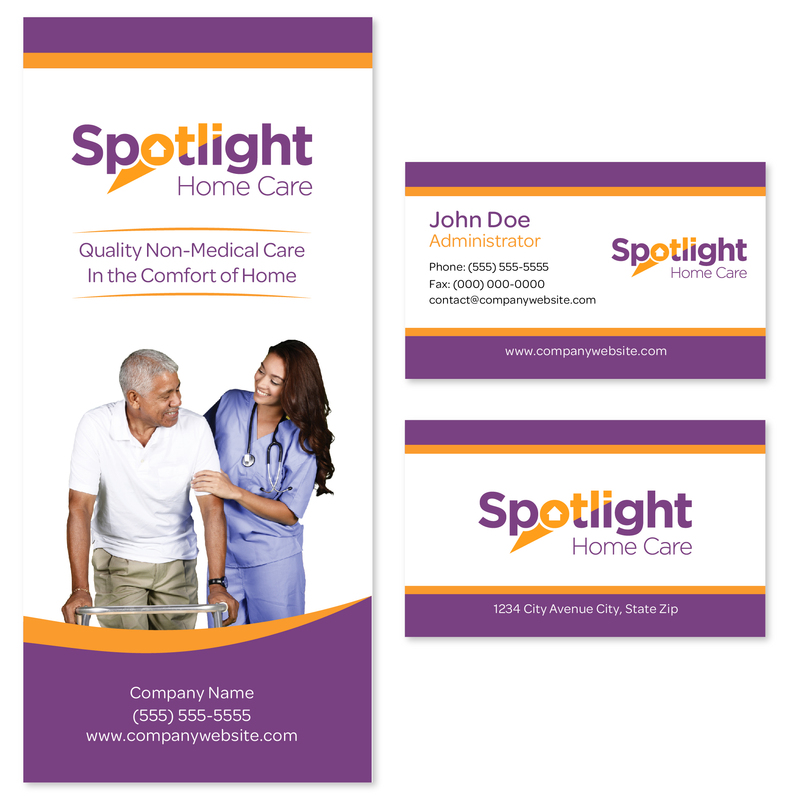 Unlike other home care consultants, we pay professionals to produce your marketing materials, not amateurs. 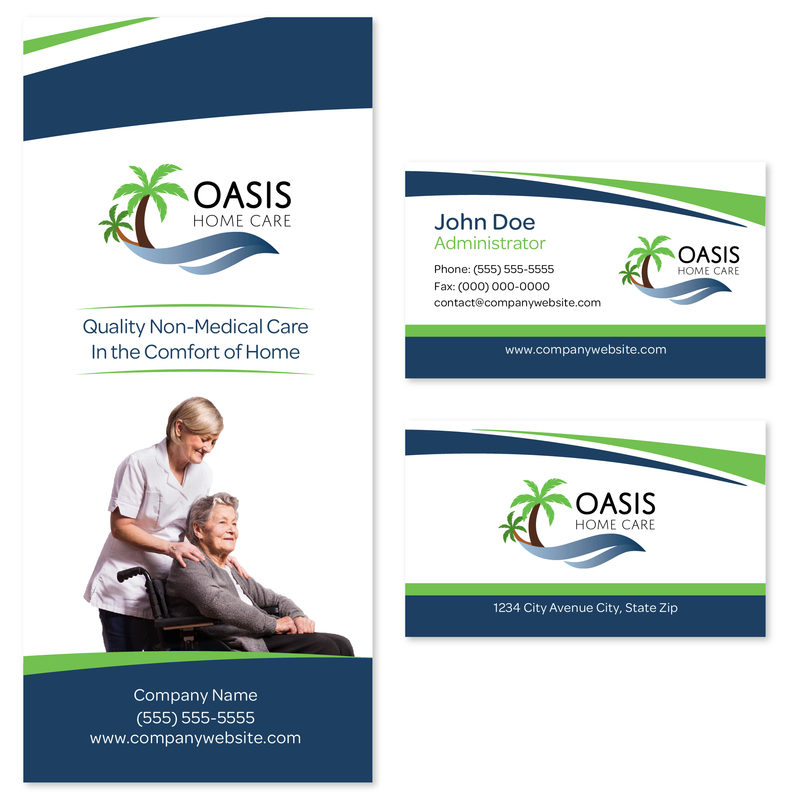 You will receive 1000 professionally designed, high quality, glossy brochures, customized for your home care agency. These are professionally designed and printed trifold brochures. 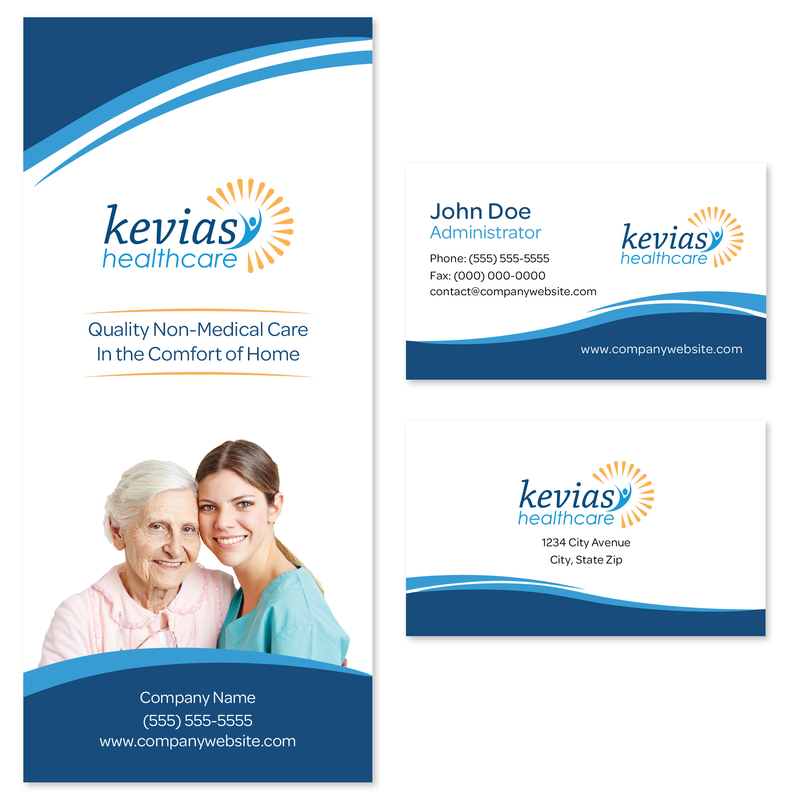 You will receive 1000 professionally designed, high quality, glossy business cards, customized for your home care agency by one of the nations leading healthcare marketing firms. These are not vista print cards, they are high quality and customized for you. Your professionally designed website will be designed, developed, optimized and launched to guarantee placement in all search engines within the world wide web (WWW) by an industry leading provider of healthcare website development. Your website will be desktop, mobile and tablet compatible including SEO meta tags, search engine submission, etc. and also includes professional email addresses @yourwebsite.com (example), high resolution health care images, social icons and linking, a Google map widget, daily malware scans and much more. Learn how to earn new patient referral sources and attract private pay, Medicaid and insurance patients. **Caution: Other home care consultant companies offer outdated marketing training from presenters with little or no real world industry experience. Always ask about training credentials before you buy! VA Program Billing And Reimbursement Instructions. These VA programs allow your home care business to assist veterans who qualify for Veterans Affairs assistance. While you are taking part in our program and even long after, we are part of your team. We will be by your side to assist you for the lifetime of your agency, and will be happy to answer your questions at no additional cost for as long as your home health care agency is in business. Advisory: Some home care consultants make promises they cannot keep. They boast about large client lists, but do not employ enough coaches and staff to be there when you need them? At CHC, we have a team of 12 employees and do not take on more than 6 new home care startup clients nationwide per month in effort to manage growth and maximize customer service. Remember, cheap service isn't good and good service isn't cheap. 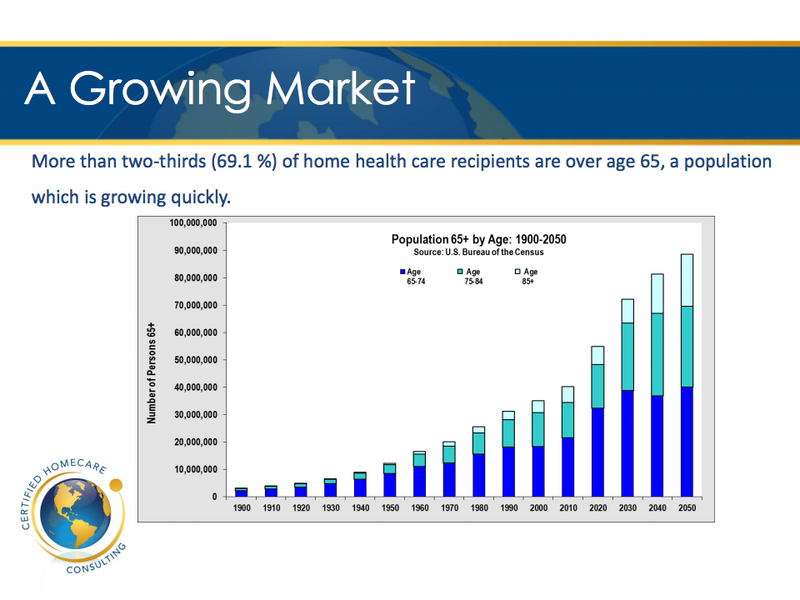 Are you interested in starting a home health care business or another type of healthcare business? We can help you with that too! Call CHC Today for a No-Hassle, Cost Free Consultation.